Looking for a new travel bag? 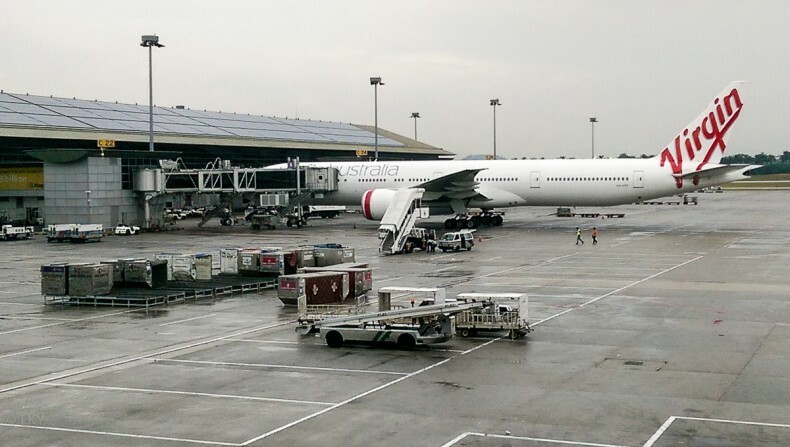 Virgin Australia are undertaking a significant cabin redesign for Premium Economy passengers which will be rolled out on the Boeing 777 fleet in late 2015. The main feature of the redesign in the 24 seat cabin, starts with new cushioned seats with a 41″ (104cm) pitch, the most generous of all Australian airlines. In-seat power is also provided, along with a USB outlet for charging personal electronic devices. Service improvements include specially trained staff and the serving of plated food, similar to the style offered in Business class, accompanied by wines also served in Business Class. In Addition, a Premium Larder for self-service food and beverages for the exclusive use of Premium Economy guests will be available. Newly designed Amenity packs containing REN Skincare products will be provided to passengers along with their blankets and pillows. Premium Economy passengers are also to be offered Dedicated check-in with Priority Boarding and baggage (up to 64kg). The upgrade is aimed at positioning Virgin Australia at the front of the competitive cross-Pacific market, as it allows passengers much more flexibility with what and when they eat as well as providing access to an assortment of alcoholic and non-alcoholic beverages, light meal options and snacks in the new Premium Larder.